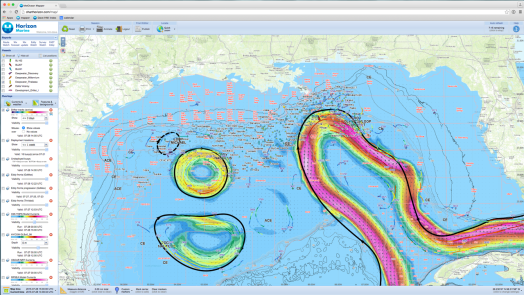 EddyWatch service, provides very accurate forecasting and monitoring of the Loop Current and associated eddies. Our team of analysts generate tri-weekly operational forecasts to help managers identify the best window for performing critical work with regards to current thresholds. Interested in what Eddywatch can do for you? Request a demo to start and see the Horizon marine Inc. Eddywatch program in action. We will schedule a one-on-one demo for you !